Our aim is to fulfil your individual requirements. 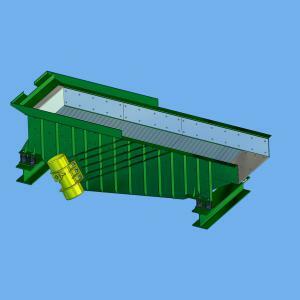 Accordingly, our team designs and constructs machines according to your needs. We want to ensure that the machine integrates perfectly into your plant. After creating the draft design, we meet to discuss every detail. We then adapt the design until it meets all of your requirements before starting construction. Each customer receives a individually made and optimised machine or components which meet the respective needs and ensure optimum functioning. Manufacture of the components take place in our plant in Ennepetal, Germany. „Made in Germany“ is a distinction of quality that we take seriously. Your plant should operate optimally and without failure. This is why we also offer on-site installation when manufacturing is completed. 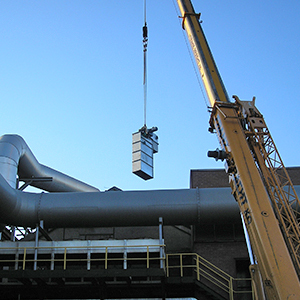 Our specialists assemble and install the machine in your own company. This allows us to ensure trouble-free commissioning and an optimum performance during production. After we have finished commissioning, you will then get an introduction to operating of the new machine. Wear and damage can lead to costly malfunctions or failures of your plant. It is important to avoid this. Accordingly the specialists from Industrieanlagen Hlebar also offer routine maintenance of your machines. If necessary, we can carry out repairs and refurbishing on site or at our own premises. Our extensive warehouse contains a large number of spare parts and consumables. If necessary, we can also manufacture individual components quite quickly. This ensures a high availability of the components in your plant and avoids long break down periods. We are happy to give you advice on your plant and analyse your sand preparation equipment and individual components for best results. We can then prepare a concept of how to operate your plant as efficiently as possible. 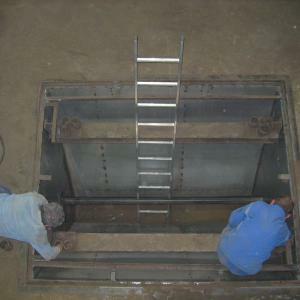 We also offer: Manufacturing and/or overhauling of mixing chambers and feed screws for continuous mixers, supply of individual chambers with pre-assembled mixer shafts as a replacement set for your continuous mixers, reconditioning of troughs by fitting internal cladding.